AARP (2012). Connecting Generations. [A Report of Selected Findings from a Survey and Focus Groups Conducted by Microsoft and AARP]. (http://goo.gl/Kcn0Pk) (13-10-14). Chen, Y., Wen, J., & Xie (2012). I Communicate with my Children in the Game: Mediated Intergenerational Family Relationships through a Social Networking Game. The Journal of Community Informatics, 8(1). (http://goo.gl/LcQRnr) (13-10-14). Chiong, C. (2009). Can Video Games Promote Intergenerational Play & Literacy Learning? Report from a Research and Design Workshop. (http://goo.gl/S2kvyE) (20-10-14). CLD Standards for Scotland (2010). Mapping the Future: An Intergenerational Project. (http://goo.gl/IcZWrX) (20-10-14). ECIL. (2013). ECIL Project. Best Practice Guidelines. Unpublished Manuscript. Centre for Intergenerational Practice: The Beth Johnson Foundation, Stoke-on-Trent, United Kingdom. EMIL. (2013). EMIL’s European Year 2012 Roundtable Events: Final Report. (http://goo.gl/3BK5qB) (01-10-14). EU Kids Online. (2011). EU Kids Online Final Report. (http://goo.gl/tHHFd6) (15-10-14). European Commission (2012). ICT for Seniors’ and Intergenerational Learning. (http://goo.gl/McdPPO) (06-10-14). Feist, H. Parker, K., Hugo, G. (2012). Older and Online: Enhancing Social Connections in Australian Rural Places. The Journal of Community Informatics, 8(1). (http://goo.gl/G79PZt) (13-10-14). Flora, P.K., & Faulkner, G.E. (2007). Physical Activity: An Innovative Context for Intergenerational Programming. Journal of Intergenerational Relationships, 4(4), 63-74. (http://goo.gl/p7lmQU). DOI: http://dx.doi.org/10.1300/J194v04n04_05) (02-02-15). Fricke, A., Marley, M., Morton, A., & Thomé, J. (2013). The Mix@ges Experience: How to Promote Intergenerational Bonding through Creative Digital Media. (http://goo.gl/QaquBx) (06-10-14). Gershenfeld, A., & Levine, M. (2012). Can Video Games Unite Generations in Learning? What Makers of Technology for Early Education can learn from ‘Sesame Street’. (http://goo.gl/Zok433) (13-10-14). Ghosh, R., Ratan, S., Lindeman, D., & Steinmetz, V. (2013). The New Era of Connected Aging: A Framework for Understanding Technologies that Support Older Adults in Aging in Place. (http://goo.gl/NjoVbS) (06-10-14). Harper, S. (2013). Future Identities: Changing Identities in the UK – The Next 10 Years. (http://goo.gl/IIzZLq) (13-10-14). Jane, B., & Robbins, J. (2007). Intergenerational Learnings: Grandparents Teaching Everyday Concepts in Science and Technology. Asia-Pacific Forum on Science Learning and Teaching, 8(1), 1-18. (http://goo.gl/XQkdvh) (13-10-14). Kaplan, M., & Sánchez, M. (2014). Intergenerational Programmes. In S. Harper, & K. Hamblin (Eds. 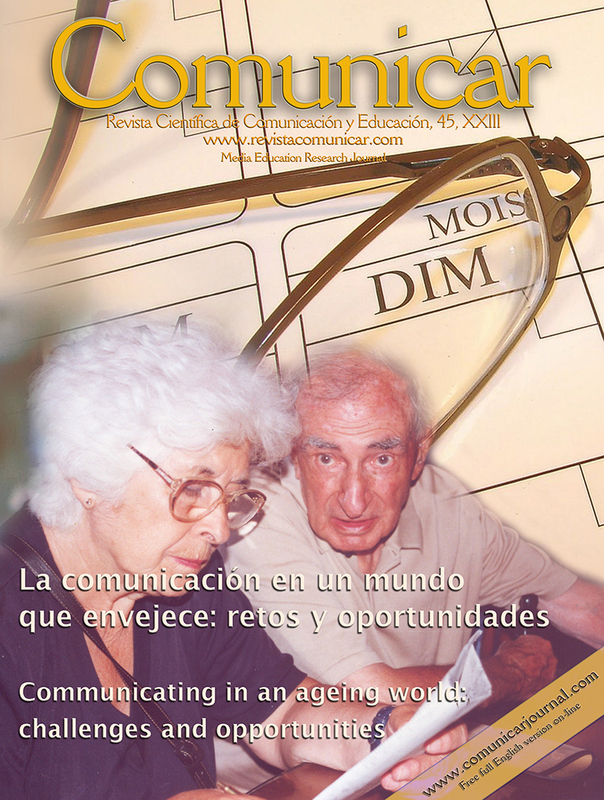 ), International Handbook on Ageing and Public Policy. (pp. 367-383). Cheltenham: Elgar. Lombard, M., Snyder-Duch, J., & Campanella, C. (n.d), Practical Resources for Assessing and Reporting Intercoder Reliability in Content Analysis Research Projects. (http://goo.gl/T2wY8I) (01-10-14). Madden, M., Lenhart, A., & al. (2013). Teens, Social Media, and Privacy. (http://goo.gl/PKHn8A) (06-10-14). Pitt, J.C. (2000). Thinking about Technology: Foundations of the Philosophy of Technology. New York: Seven Bridges Press. Rogers, E.M. (2003). Diffusion of Innovations. New York, NY: The Free Press. Smith, A. (2014). Older Adults and Technology Use. (http://goo.gl/8MA6Uv) (06-10-14). Third, A., Richardson, I., Collin, P., Rahilly, K., & Bolzan, N. (2011). Intergenerational Attitudes towards Social Networking and Cybersafety: A Living Lab. (http://goo.gl/xxuCp6) (13-10-14). Abarrategui Amado; Lucia;. 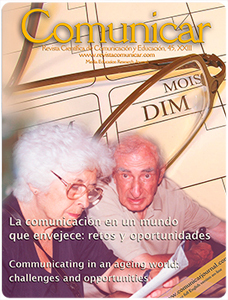 INTEGENERATIONAL RADIO IN THE SCHOOL: A PROPOSAL TO ACTIVE AGEING INDEX COMUNICACION , 2018. Boger, Jennifer; Mercer, Kathryn;. Technology for fostering intergenerational connectivity: scoping review protocol SYSTEMATIC REVIEWS , 2017. Canedo-Garcia, Alejandro; Garcia-Sanchez, Jesus-Nicasio; Pacheco-Sanz, Deilis-Ivonne;. A Systematic Review of the Effectiveness of Intergenerational Programs FRONTIERS IN PSYCHOLOGY , 2017. Kaplan, Matthew; Sanchez, Mariano; Bradley, Leah;. Conceptual Frameworks and Practical Applications to Connect Generations in the Technoscape ANTHROPOLOGY & AGING , 2015. Kaplan, Matthew; Sanchez, Mariano; Hoffman, Jaco;. Intergenerational Strategies for Promoting Lifelong Learning and Education INTERGENERATIONAL PATHWAYS TO A SUSTAINABLE SOCIETY , 2017. Kaplan, Matthew; Sanchez, Mariano; Hoffman, Jaco;. Intergenerational Strategies for Sustaining Families and Family Life INTERGENERATIONAL PATHWAYS TO A SUSTAINABLE SOCIETY , 2017. Kritzinger; Elmarie;. CULTIVATING A CYBER-SAFETY CULTURE AMONG SCHOOL LEARNERS IN SOUTH AFRICA AFRICA EDUCATION REVIEW , 2017. Rasi, Paivi; Kilpelainen, Arja; Zhou, J;. Older People's Use and Learning of New Media: A Case Study on Remote Rural Villages in Finnish Lapland HUMAN ASPECTS OF IT FOR THE AGED POPULATION: HEALTHY AND ACTIVE AGING, ITAP 2016, PT II , 2016. Amaro, A.C., Oliveira, L., Veloso, A.I.. Intergenerational and collaborative use of tablets: «in-medium» and «in-room» communication, learning and interaction), Observatorio, 2017. Canedo-García, A., García-Sánchez, J.-N., Pacheco-Sanz, D.-I.. A systematic review of the effectiveness of intergenerational programs), Frontiers in Psychology, 2017. Kritzinger, E.. Cultivating a cyber-safety culture among school learners in South Africa), Africa Education Review, 2017. Rasi, P., Hyvönen, P.. How to support senior citizens' media literacies: A review of existing research literature), Proceedings of International Conference of the Learning Sciences, ICLS, 2016. Rasi, P., Kilpeläinen, A.. Older peoples use and learning of new media: A case study on remote rural villages in Finnish Lapland), Lecture Notes in Computer Science (including subseries Lecture Notes in Artificial Intelligence and Lecture Notes in Bioinformatics), 2016.